HOW CAN I CALL AN AMBULANCE IN HONG KONG? Yes. 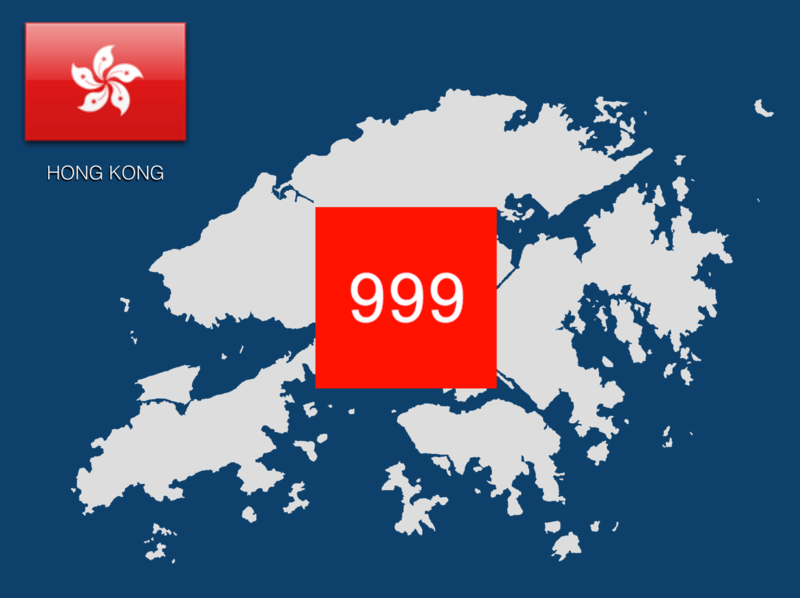 999 is available across Hong Kong through the Fire Services Department, which are divided in two regions further split into four subdivisions. Each division has “approximately 300-400 staff in 4-7 ambulance depots” (Graham 2009). You should still call 999 during disasters, as Hong Kong’s unified command center can be turned into an emergency operations center (EOC) during large scale events. An independent volunteer organization which provides medical services during disasters and public events (civic and sporting); first aid training; and dental services to persons with special needs. Chinese University of Hong Kong has provided independent postgraduate diploma and Master of Science degree in Prehospital and Emergency Care since 2005. Standard Transport Ambulance – Mercedes-Benz Sprinter staffed with three ambulance staff — one driver and two trained emergency technicians, at least one of which is EMA II-level provider. Fixed-wing and helicopter EMS (HEMS) are available through the Government Flying Service which provides transport from scene to hospital, between facilities as well as search and rescue for Hong Kong and surrounding water. Personnel are rained to a BLS level and works in coordination with Ambulance Command, though is managed independently. An Air Medical Officer (AMO) program is used to staff the service with volunteer specialist emergency physicians and nurses on holidays and weekends. To contact the Government Flying Service in case of an emergency, dial 999. Graham CA et al: “EMS systems in Hong Kong.” Resuscitation. 2009;80(7):736-9. Lo CB et al: “Prehospital care in Hong Kong.” Hong Kong Medical Journal. 2000;6(3):283-7. Lui TW et al: “Performance of a prehospital trauma diversion system in Hong Kong, China.” Chinese Journal of Traumatology 2015;18;137-40. Yip LM et al: “Utilization of the Accident and Emergency Departments by Chinese elderly in Hong Kong.” World Journal of Emergency Medicine 2015;6(4):283-8.